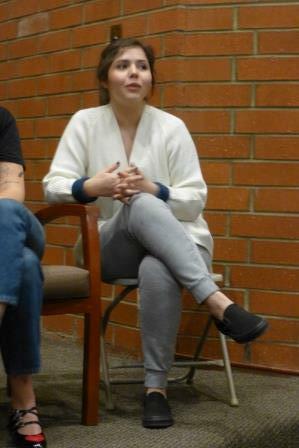 Cheyenne Avila, senior creative writing major and President of Spoken Wordplay, competed at the College Union Poetry Slam Invitational (2016, 2017), the Southern Fried Poetry Slam (17, 18), and won the 2017 undergraduate creative writing contest for her essay “The House on Ellburg Street,” judged by Kevin Riel. This year, she’s had the poems “Ekphrasis for ‘Gathering of Women’ by Tamara Adams” (Bird’s Thumb) and “Brujeria and Bonnets: A Brown Girl’s Guide to Decolonization and Self-Actualization” (Crack the Spine Literary Magazine) accepted for publication. 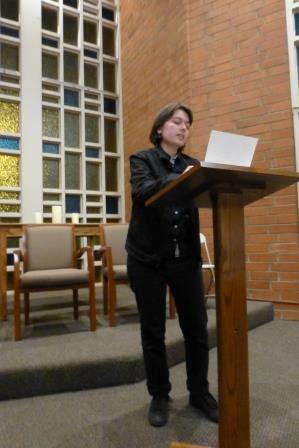 She also won Cultural Weekly‘s Jack Grapes Poetry Prize, as chosen by judge Rocío Carlos. 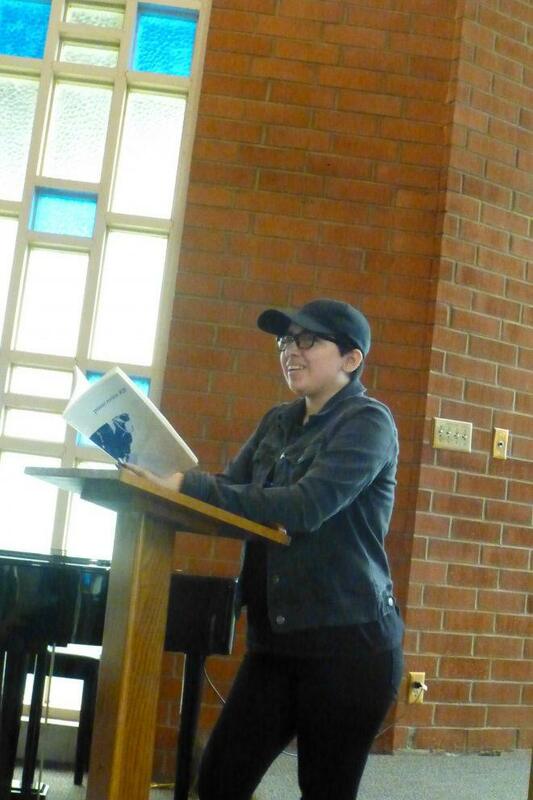 Guadalupe Robles, 2017 graduate, was admitted to the MFA in Creative Writing (poetry) program at Antioch University Los Angeles and is working on a translation of Gabriel Chávez Casazola’s Persistencia de los tatuajes for Valparaiso USA. 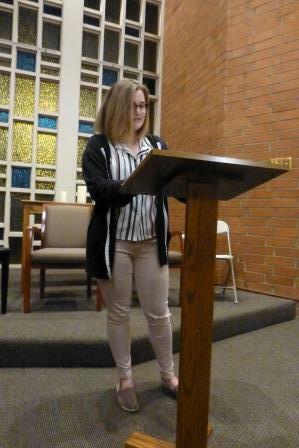 In 2017, her senior project was a finalist for the Dean’s Award for Excellence in Undergraduate Research (Creative Expression), and in 2016 she won the ULV undergraduate creative writing contest (judged by Michelle Detorie). Tabitha Lawrence, 2017 graduate, is attending the Rainier Writing Workshop at Pacific Lutheran University, and has had her work published in Los Angeles Review and elsewhere. John Abbasi, 2016 graduate, is also attending the Rainier Writing Workshop at Pacific Lutheran University; in 2016, he won the ULV undergraduate creative writing contest for his story “Darling Young Boy” (judged by Corinna Vallianatos) and the Dean’s Award for Excellence in Undergraduate Research (Creative Expression). Kendra Craighead, 2018 graduate, has poems published or forthcoming in in Foliate Oak Literary Magazine, Sagebrush Review, Barking Sycamores, and Sucarnochee Review, and has contributed numerous articles to Inland Empire Magazine. 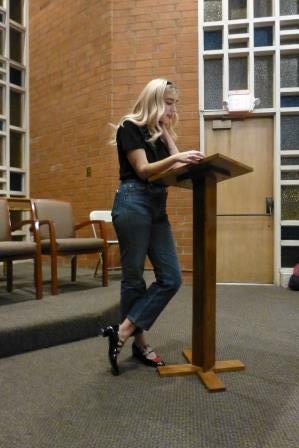 On December 4, student-poets Hannah Schultz, Jazzy Venegas, Taylor Croft, and Nadyah Shah (pictured below, in order) read their original poetry and spoke about their inspirations and writing processes to a packed house.